ALLEGRO will run for a six-week season at Southwark Playhouse from 5 August to 10 September 2016. It will be in The Large at Southwark Playhouse, London and press night will be Friday 12 August at 7.30pm. 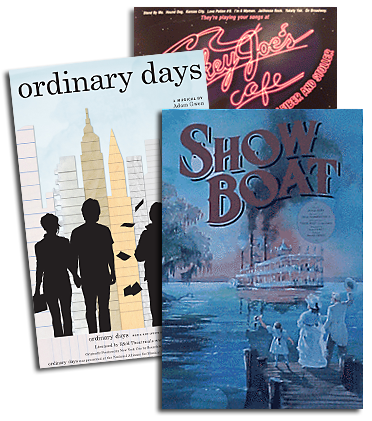 With an epic score by Richard Rodgers and a ground breaking book by Oscar Hammerstein II, Rodgers & Hammerstein’s ALLEGRO opened in 1947 to the highest advance in Broadway history. Almost 70 years later, this extraordinary musical is to receive its professional European stage première, produced by Danielle Tarento and directed by Thom Southerland. Katie Bernstein (MRS HENDERSON PRESENTS, URINETOWN) will play Emily West alongside Emily Bull (SUNSET BOULEVARD) as Jennie Brinker, David Delve (GRAND HOTEL) as Ned Brinker, Julia J Nagle (DIRTY DANCING) as Marjorie Taylor, Dylan Turner (BEAUTIFUL) as Charlie Townsend and Susan Travers (STATE FAIR) as Grandma Taylor. They are joined by Gary Tushaw (SUNSET VOULEVARD) as Joseph Taylor Jr. and Steve Watts (CHARIOTS OF FIRE) as Dr Taylor. Completing the cast is Cassandra McCowan, Matthew McDonald, Louise Olley, Benjamin Purkiss, Jacqueline Tate, Samuel Thomas, Leah West and Matthew Woodyatt. Lee Proud choreographs with musical direction from Dean Austin. Book tickets to ALLEGRO here! Watch Katie Bernstein sing The Gentleman Is A Dope. See the cast in rehearsals! 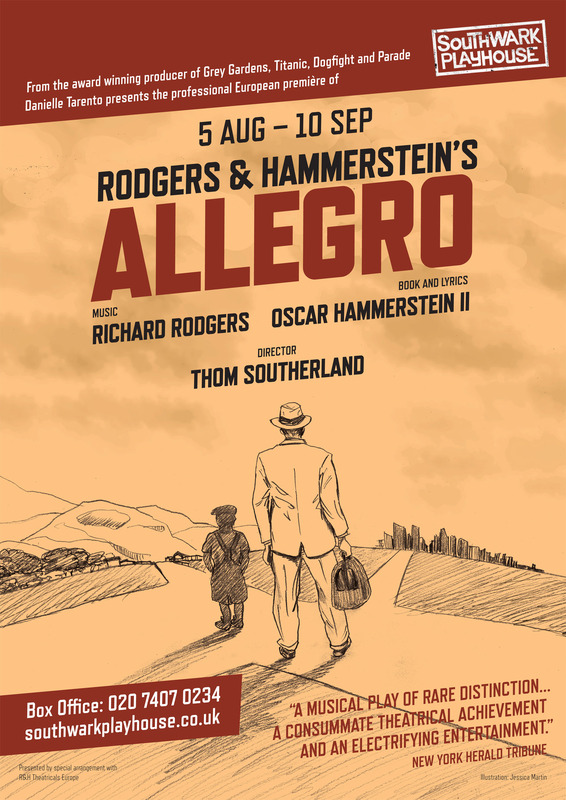 There will be a post-show Q&A session with ALLEGRO director Thom Southerland and cast members* on 17 August. *Cast attendance subject to availability. Free entry to Q&A for all ticket holders of said night’s performance.